Seventy years ago this weekend, Christian liberal activists in Boston concerned about the plight of Europe’s Jews created a refugee relief group called the Unitarian Service Committee. Although it was a tiny organization operated by one of American Christianity’s smallest denominations, it nevertheless represented the most significant response by U.S. Christians to the Holocaust. That is testimony both to the valor of the Unitarians and the shame of most of America’s churches, and raises issues that continue to have important implications for our own time. Susan E. Subak’s new book, “Rescue and Flight: American Relief Workers Who Defied the Nazis” (University of Nebraska Press ), presents the first scholarly account of the heroic efforts undertaken by that handful of Unitarian activists to rescue Jews, and others targeted by the Nazis, primarily in Vichy France and German-occupied Czechoslovakia during 1939-1941. Only one (also very small ) U.S. denomination, the Quakers, sent emissaries to Europe to help Jews escape. But what about the major denominations – the tens of millions of American Catholics, Presbyterians, Episcopalians, Baptists and others whose faith is anchored in such principles as helping those in need? Although much has been written about the response of the U.S. government and American Jewry to the Holocaust, there has been very little examination of the record of America’s churches. Subak’s study is thus something of a breakthrough. So, too, is Stephen H. Norwood’s recent “The Third Reich in the Ivory Tower” (Cambridge University Press ), concerning relations between elite U.S. universities and Nazi Germany in the 1930s. He found that many leaders of such Catholic institutions as Georgetown University, Boston College and the Catholic University of America expressed sympathy for Franco’s forces in the Spanish Civil War, embraced Mussolini’s Italy and praised aspects of Hitler’s Germany. Many student publications at Catholic schools likewise cheered Europe’s fascist regimes. Fortunately, there were other voices. A conference this November at the Union Theological Seminary and the Jewish Theological Seminary in New York will examine a little-known attempt by some Jewish and Christian seminary students to rouse public opinion to support the rescue of Jewish refugees. The latest academic interest in responses to the Holocaust extends far beyond the American scene: New research concerning David Ben-Gurion’s position on the idea of bombing Auschwitz set off a debate last year that reached the pages of The New York Times; Revisionist views of the Rudolf Kastner affair have ignited much controversy; and Bar-Ilan University will host a conference on Sunday on “Religious Zionism and Rescue from the Holocaust.” Topics such as Rabbi Meir Bar-Ilan’s lobbying mission to Washington in 1943 will be explored for the first time. Public interest in the topic remains keen, and these days, discussions about international responses to Nazism and the Holocaust are as likely to be aired in films and plays as in scholarly journals. In the past several years alone, three documentaries and an off-Broadway play (also staged in Jerusalem ) have acquainted audiences with the Bergson Group – activists in the U.S. who used full-page newspaper ads, dramatic marches and Capitol Hill lobbying to press for U.S. rescue of refugees. Junior and senior high-school students will also soon be learning more about these topics. 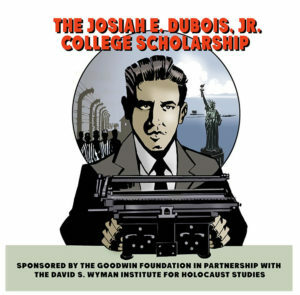 Disney’s educational division and the David S. Wyman Institute for Holocaust Studies are creating a series of “motion comics” that will be posted online – a blend of animation, comic-book illustrations, photos and newsreel footage about Americans who spoke out against the Holocaust. The new research and publicity is already having an impact in several important ways. Public figures who have recently learned of their own families’ connection to 1940s activists are now seeking recognition. From Speaker of the U.S. House of Representatives Nancy Pelosi, whose father, U.S. Congressman Thomas D’Alesandro, supported the Bergson Group, to Yeshiva University chancellor Norman Lamm and singer Neshama Carlebach, whose relatives were among the 400 rabbis who marched to the White House in 1943 – these figures have joined the calls for Holocaust museums to recognize the rescue activists. In response, the U.S. Holocaust Memorial Museum recently added a Bergson exhibit, and many prominent Israelis have urged Yad Vashem to do likewise. Second, along with the growing awareness of both the Allies’ abandonment of the Jews and of activists’ rescue efforts, has come a greater appreciation by contemporary activists that the events of the 1930s-1940s are still relevant. Today many are asking: Having failed to act against Hitler early on, should the U.S. and its allies take action against the genocidal dictators of our own time? Should the international community – including Israel – provide temporary haven for Darfur refugees? Do newspapers that buried news of the Holocaust have a special responsibility to give prominent coverage to human rights abuses today? What lessons from American Jewry’s relationship with president Franklin Roosevelt can be applied to that community’s political ties today? No matter where one is situated on the political or religious spectrum, it is clear that what happened then still matters very much.